Over the seven week period the participants took in the intensified course structure to upgrade, initiate and grow their established and new businesses. Some beginning with only an idea and creating during the program the actual operation from the thought. The environment of two sessions a week alone ignited progress with a rapidity and not an urgency with the focused course structure combined with mentors. The sole traders of the established businesses found the assistance from the mentors particularly valuable. It is rare to access such competent assistance from advisers. Sole traders are usually busy doing the work that makes a business work. 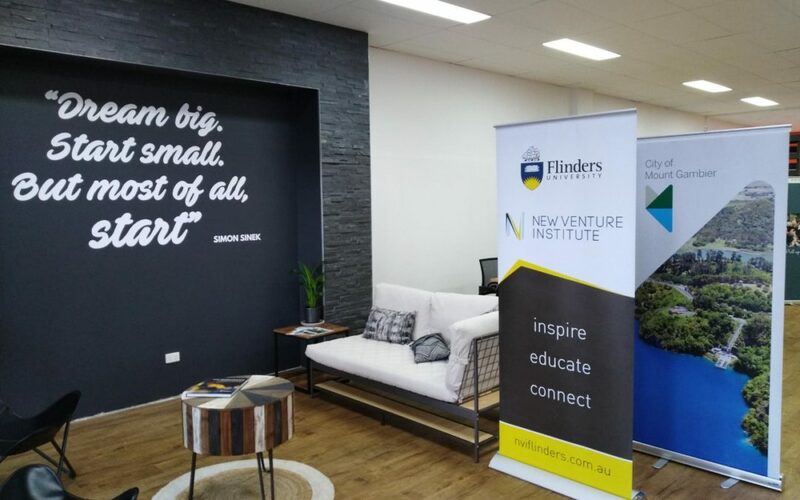 Having time available to find advisers is the first hurdle, the New Venture Institute provision of ongoing mentor-ship after the course is completed is part of why it is a successful program. With the opening of the work space the week previously. Access to an operating hub for creative business production and progressive operators will be a valuable resource for the region.